Based on the first book in author Richelle Mead's successful series of "Vampire Academy" books. Rose Hathaway (Deutch) is a Dhampir: half human/vampire, guardians of the Moroi, peaceful, mortal vampires living discretely within our world. Her legacy is to protect the Moroi from bloodthirsty, immortal Vampires, the Strigoi. This is her story. Vampire Academy was a disappointment at the box office but despite that fact, director Mark Waters was eager to continue the franchise, considering the movie is based on a series of books. The studio requested Waters set up a crowd funding campaign to earn $1.5 toward the movie to prove the audiences dedication for a sequel. The film could only summon $254,000 by the end of the month. They cancelled plans for a sequel. The film was not screened for critics and once it was released, it was panned by critics. Audiences also did not come out in droves. The film was made with a $30 million budget and only earned $15 million. The film is based on the first of the Vampire Academy Young Adult novel series written by bestselling author Richelle Mead. There are six books in the series. The trailer for Vampire Academy looks like a weird interpretation of Gossip Girl, if all the characters were bloodsuckers, but literally rather than figuratively. Based on a Young Adult series of the same name, Vampire Diaries continues the fascination with the undead teenagers that Twilight reignited a few years ago but gave it a little more bite. Zoey Deutch plays the lead character, Rose. Deutch is the daughter of director Howard Deutch, as in the guy who directed Pretty in Pink (1986) and Some Kind of Wonderful, and her mom is Lea Thompson which makes Zoey Deutch teen film royalty. To top it all off, Daniel Waters, wrote Heathers, is the screenwriter for Vampire Academy. There is a scene in the film where one vampire bites her friend in a very casual way because that’s what friends are for. It is such a cute and funny scene that the entire trailer gets a jolt of fun. After a few too many teen films about vampires that were more melodramatic and self-serious, it is nice to see something that appears to be far less of a drag. There is still plenty of images for those who enjoy the cliché of the big bad vampire with his duster jacket walking into the fray, and the combined efforts of vampire groups trying to thwart each other, but at least there is a bit more mixed in with the rest of it. 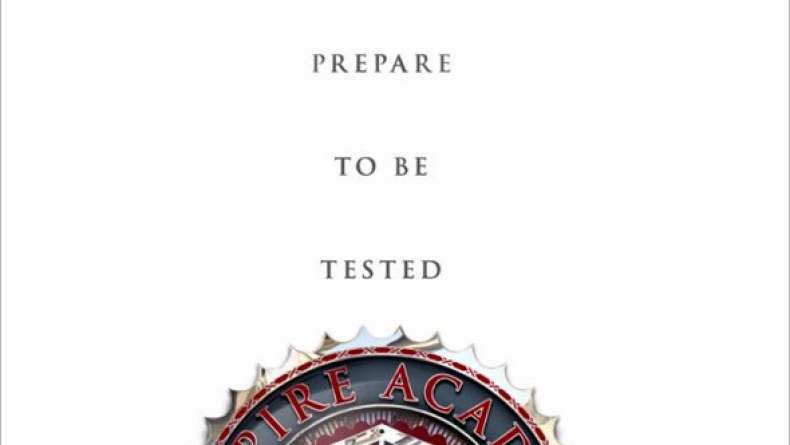 The trailer for Vampire Academy is entertaining, funny, has a little bit of action and just enough bite.